Golmaal Again Saturday (2nd Day) Collection Update for Morning. Takes Thunderous Start Again. 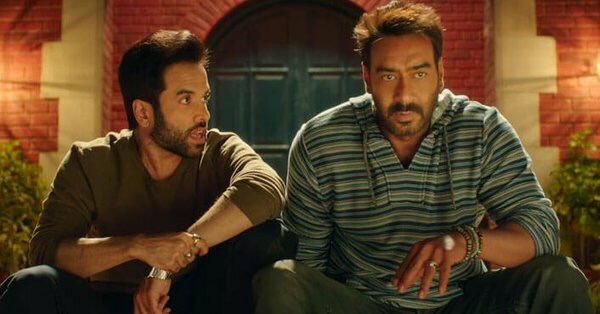 Golmaal Again has taken a thunderous start again on Saturday (2nd day) at box office in Morning shows. Early samples on multiplexes are coming in and it is on par with Friday opening. This is absolute fantastic news. Golmaal Again has opened to around 60% occupancy in Morning shows today. It is on par with opening of Friday. At few places it is even better. This is insane. Samples are from multiplexes and single screens are not started yet or just about to start. GA has created havoc on day one and story looks same for today also. Today being Saturday expect occupancy to shoot up as day progresses. Expect Houseful boards again for the day. Evening and Night shows should run to packed houses for sure when family audiences will come out in numbers. Another humongous day on cards. Film will no doubt compete with Friday numbers in multiplexes for sure. It is the single screens where film needs to hold strong. SS were simply insane on Friday and it was mayhem everywhere. All SS shows are sold out or near about sold out. Hope G4 sustain there also. Stay tuned for more updates! Golmaal Again 👍👌😁🌷👍 Gopal is back. Bhai log kidhar ho aayo golmaal again ki super success ko addatoday per celebrate karain. 200 crore pakka hai. First hero after khan's. 100 crore me bhi kuch khan's se pahle entry k thi. Ab koi hai jo bole k devgan top ka hero me samil nai hai. Wo to shivay aur badshaho bhi auchi hi movie thi. BT kabhi karan game kiya to kabhi koi aur. Is bar bhi kuch aisa hi scene create hua tha. BT thank god k sab aucha hua. Ye film ajay k liye bahut jarur thi.Stardom k liye. Ab ajay safe zone me hai. Aur uski aane wali movie bhi dhakad hai. ankur after this great response can we expect that if Thugs of Hindustan buzz lives up to expectations 50 crore plus opening day is possible.